I Skate, Therefore I Am: When you ask “Is vert legit?”, isn’t it a sad day? When you ask “Is vert legit?”, isn’t it a sad day? ﻿﻿Last year, after the effervescence of the last days prior to the Protec Pool Party (PPP), when all the pros, the managers, the journalists, the coaches, the groupies and the photographers gathered in ecstasy around the big pit, all had become suddenly quiet. True, Grosso and Lance Mountain were still shredding the coping of the Combi; but they are locals here and the rest was gone. Not a soul to take a picture of them, not a spirit to compliment the winner of the 27 tiles slide. Vans skatepark definitely looked like a desolated place. gossip the internet was capable of after such a challenging contest, ﻿I suddenly realized how poor the coverage was: except from the excellent job from Concrete Disciples and the Vans (of course) websites, the skateboard community was almost silent regarding the event. There comes my disclaimer: don’t get fooled by all those websites with millions of hits per month. The main reason why there are here is that they make tons of greenback on the back of skateboarding. ﻿into skateboarding, just that the company that employs them and owns this big mag is making money out of it. You have to remember that, in the past, lots of legit companies have sunk after having reached a climax. The parable of Icarus works for everybody: if you grow too big and you think that the sky is not the limit, then you get too close to the sun and you simply melt away. The world is full of old legit companies that turned their back on the community and the core skateboarders they were supposed to serve: Vision and Airwalk were once not only giant companies but respected by all their customers. Skateboarder Magazine was the bible of vert in the 70’s until they turned their back and became Action Now and planted a dagger in our heart. Those 3 companies are now the shadow of the ghost they once where. Is there something wrong making money out of skateboarding? Probably not. Let me rephrase: definitively not! The companies that make tons of money but give some of it back to the skate community are well regarded. Etnies and Vans not only are profitable but highly respected as legit. Part of this legitimacy is that they give back to the community. The PPP is a perfect example. Whether Vans makes money out of the event is irrelevant to its Vert and by extension skateboard legitimacy. Actually the concept of legitimacy is at the core of skateboarding. 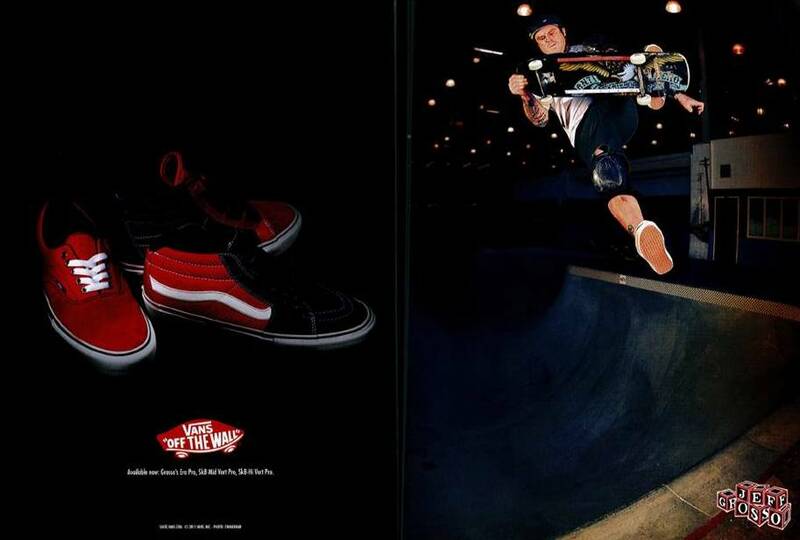 The perception that Vans or Etnies are more legit than Nike is stemming from their roots: both Vans and Etnies have entered a marriage contract with skateboarders and have wooed to be with them during the good and the bad times. Nike is here because it is supposedly a good time. in pieces. Music was shut down; the silence was violent and intolerable. Everybody was watching in disarray. But at the end, he stood up and continued. Without the fall, he would have won the trophy. Next time maybe. So, if you are legit and DIY, you belong to the skate community, if you are not, you are definitely a poser. Well, that was painless and simple. So, vert is not legit? You must be kiddin’ me!!!!!! Vert is the King discipline of skateboard. Vert is skateboarding. Without vert there is no skateboarding. Vert is the natural son of the first sidewalk surfers that left the ocean to conquer pools. Vert is the evolution of skateboarding. Vert was not born out of an accident after the biggest draught hit L.A. it was meant to be from the start. The maneuvers of skaters on the banks or the Paul Revere school that predates the first great skateparks (Marina Del rey, Pipeline, The Ranch…) are there to prove it. 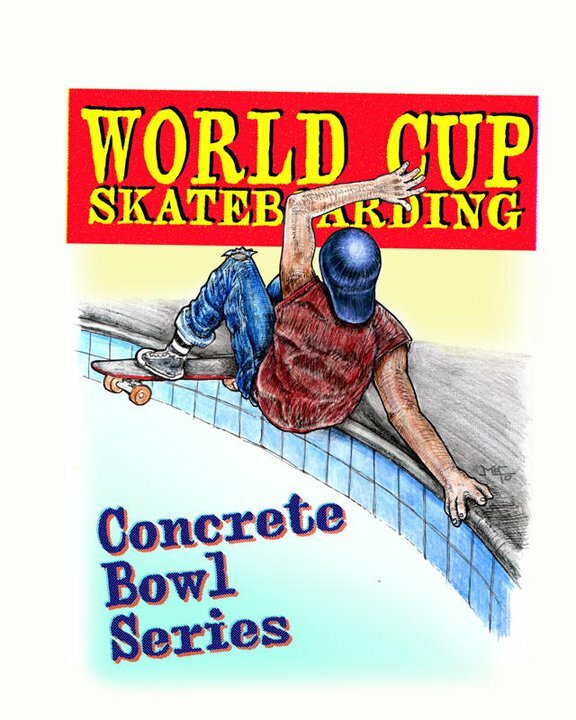 For 2011 Bowl Skating is alive and growing at an amazing rate as skateparks are being built on a daily basis around the world. New this year, we welcome the Ultra Bowl event in Malmo, Sweden to the tour, Plans for a new Vans Skatepark in Huntington Beach also include a bowl comp which could take place in October or November of this year. World Cup Skateboarding is excited to have been a major player in the growth of Bowl/Park skateboarding and will continue to develop and support Bowl skateboarding around the world. Vert will never DIE!! and BOWL too! !